The Uruguay international was withdrawn at half-time at Vicarage Road, as a Pierre-Emerick Aubameyang goal proved enough to earn the Gunners a win which moved them back up to fourth place in the standings. Our position in the table is very important. It is in our hands. 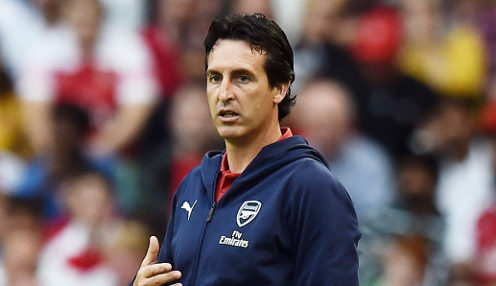 And afterwards Emery was calm about the substitution of his summer signing, with Torreira having also been in the middle of the incident which saw home skipper Troy Deeney sent off early on in the game. He told the club's official website: "First I decided to make the change of Torreira because, after the red card, the atmosphere was against him. "Also, the doctor said to me in the first half that he has a little pain from Thursday's game against Napoli and I decided 'okay, it's the moment (to take him off)'. "I think it's a small injury and he can be ready for Thursday." Arsenal won the first leg of their Europa League quarter-final tie against Napoli 2-0 last week and head to the San Paolo to defend that advantage on Thursday. Meanwhile, Emery was content with a hard-fought win over the Hornets which put his side back in control of their own top-four destiny. He added: "Our position in the table is very important. It is in our hands, to take the top four (spot). I think it's very positive to have all three points." The Gunners are 1.44 to finish in the top four come the end of the season, while they are 3.50 to triumph in the Europa League.